Chad Campbell has hit the first hole-in-one at this year's Travelers Championship. He used a 6-iron on the 165-yard 16th hole, knocking the ball just above the pin and watched it roll back into the cup. It was his second hole-in-one on tour, and the 30th ace in the history of the Connecticut tournament. For his effort, Campbell wins a $50,000 shopping spree at a local jewelry store. 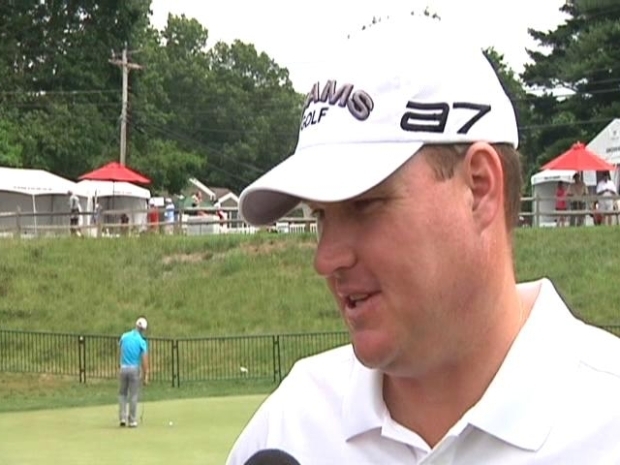 Chad Campbell talks about his hole in one during the Travelers Championship. He followed the ace with a birdie on 17, and finished the first round at 3-under-par, three shots off the early lead.